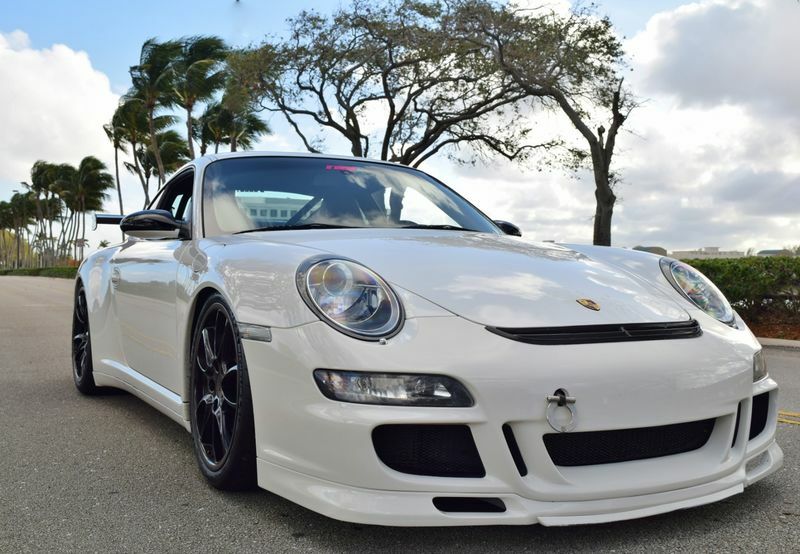 This 2 owner example is finished in white exterior with black interior. Paint shows well with minor rock chips front bumper has been resprayed and a carbon air dam has been added. 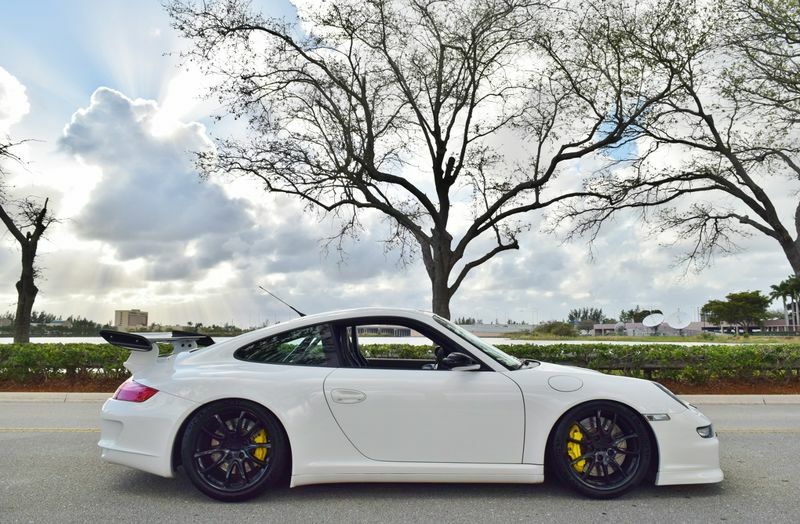 Carbon tail looks great on the car giving it the gorgeous aggressive look as seen in photos. The car has never been in an accident and comes with a clean carfax.Wheels are gloss black and have no curb rash. Also, the wheels are wrapped in brand new very sticky Michellin Cup 2 tires all around. 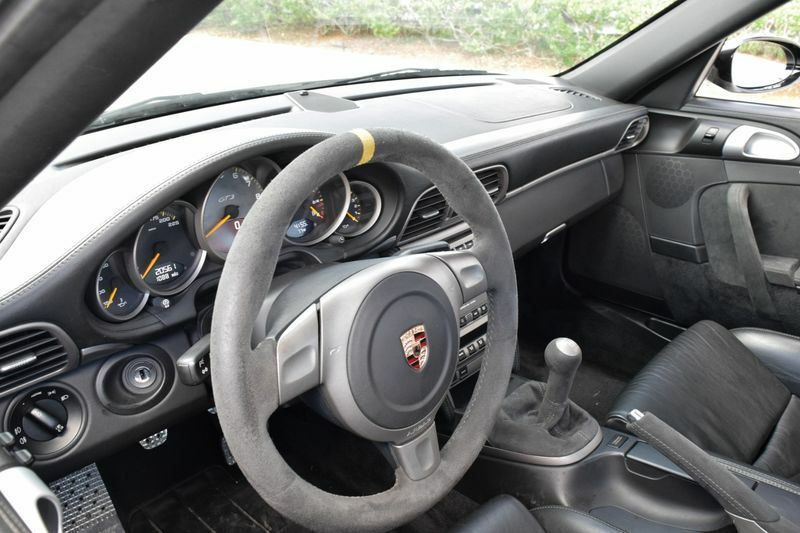 Interior is in good condition.This GT3RS has OEM carbon fiber hard back sport seats in excellent condition. Steering wheel, headliner, door cards and shift knob are all alcantara steering wheel has some minor wear. All electronics including power windows power seats all function as they should. Seats belts are factory and yellow to match the brake calipers. Air conditioning is ice cold and works great. Pedals are aftermarket..
original pedals included with sale. Engine and transmission are in great condition. exhaust is stock. Car comes with a factory short shifter and is precise.